Let’s face it, as a business owner, you have many more tasks on your to-do list than hours in the day. Whether you own a two-employee print shop or a 500-employee marketing firm, there is a lot of planning and management required of you, so delegation is a skill that must be honed quickly. To run a successful business, you must know your limits and outsource the services that make the most sense to your budget, the productivity of your company, and the skill set that your employees hold. Here are just a few examples of the services that you should outsource. If you rent or lease your space within a larger building, building management may already be an added perk included in your lease amount. However, if you are responsible for it or have a stand-alone building, this is a task you should outsource for sure. Building management is a full-time job in itself and encompasses a wide range of tasks that if you tend to yourself, you are sure to compromise the potential success of your company by stretching yourself too thin. Service contracts with local HVAC and landscaping companies are a start. If you have a very small shop or ice cream parlor, perhaps this task can be delegated to employees, but if you have a retail business, own a restaurant, or run an office, you would be better served hiring a cleaning company to handle the majority of the cleaning. This is essential to maintaining a productive work environment and providing superior customer service. If you own a business that deals with personal information regularly, it is likely that your records management requires a great deal of shredding. Many industries that are trusted with confidential or protected information are regulated governing record destruction. Avoid the hassle of owning a shredder and ensuring documents are properly disposed of by outsourcing shredding services to a shredding company. Typically the costs are fairly inexpensive and services can be scheduled at regular intervals or as needed. Unless you run an IT company, you should consider outsourcing the monitoring and management of your IT services. Network downtimes can be costly to your business and if you are not IT savvy, correcting the problem can also be very costly. 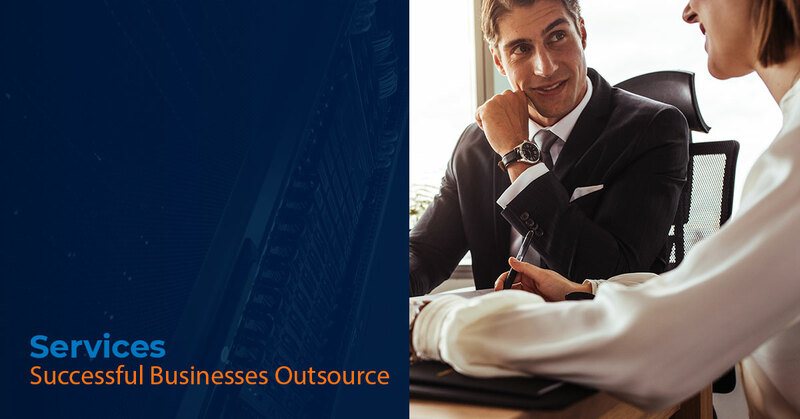 Reduce downtime and keep your business running smoothly by outsourcing your IT management. Outsourced IT management can include data center, cloud hosting, IT helpdesk, and network monitoring services. As a business owner, you know the importance of keeping things running smoothly. To avoid network downtimes that cause costly gaps in your ability to provide your product or service to your customers by trusting an expert IT management company like viLogics. At viLogics, we are proud to offer a wide range of IT management and network hosting services. To find out how you can save your business time and money, and eliminate network-caused nonproductive time, visit us online or call us today!